The premise of the story hinged on the afore-mentioned corneal transplant technology that then led on to Iris Recognition. This allows for Jack Petachi’s replacement (they’ve turned him into a herion addict you see, so they can get him to do anything – especially as they use threats on his sister as back-up bribery), to fool the scanner into believing he is actually the President of the United States of America and it is okay to swap the dummy nukes for real ones. As opposed to fingerprints that wear with time, as an internal organ, the eye has long been considered ideal for identification purposes. It is also relatively flat and easy to photograph, so it is unsurprising that such recognition technology was developed. The biometric authentication process uses pattern recognition of a person’s eye. These complex patterns and shapes are unique to an individual. In 1987 two Ophthalmology Professors; Leonard Flom and Aran Safir were issued the first patent on Iris Recognition Technology. The technology moved at a pace and even Passports now include the technology. Indeed, millions of people worldwide have had their iris’ recorded for future use by evil overlords and dastardly governments. Or something like that. Back in 1983 however, this technology would have been considered supremely cutting edge. In 2005 the UK Border Agency began to introduce Iris Scanning at its airports. You now cannot enter the United States without having your biometrics scanned. Of course, no-one tells you what they intend to do with this information, but we all have to get on with it. 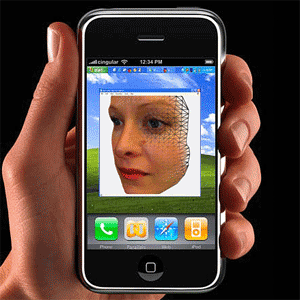 Facial Recognition technology is included in the Samsung Galaxy SIII smart phone. The Face Unlock feature is included but it has a fair way to go until it reaches the status of 'being what it supposed to be'. So, although it is a massive step forward, put a pair of glasses on and it will struggle - bugs are sure to be ironed out as the technology improves. Facebook has its Photo Tagging feature, which enables its tech to match up photos with owners of faces, as it were. Privacy advocates are battling with this as we write. It will have its place, but further advancements in other areas of biometric scanning will probably break clear of Facial Recognition. Finger Print Recognition is already moving clear of Facial Recognition as a means of reliable identification. Rumours are, that Apple are planning on including it in their next iPhone. If this does happen, it will be incorporated in anything and everything tech companies can think of within months. 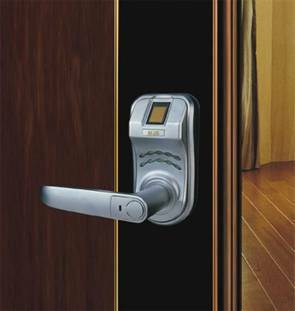 It is already the most reliable of Biometric Scanning technology and comparatively inexpensive. The issue with Iris or Retinal Scanning is the cost, not just of development, but installation. The UK Border Agency's £9m installations have already seen two airports abandon existing technology. It may be that the technology is here and ready to be used, but if the costs are significantly more than ID cards a business or establishment will certainly need to justify this level of extreme security.